A back injury can be extremely difficult to resolve. Even with many advances in modern medicine, certain types of injuries will lead to long-term consequences and permanent pain or loss of motion. 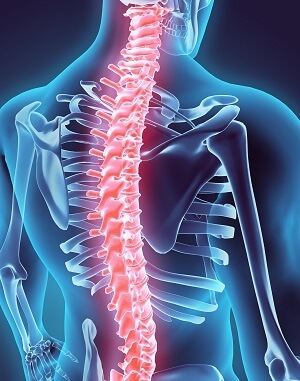 If you have suffered a serious back injury due to an act of negligence, it is time to get in touch with a highly qualified and experienced Fort Worth back injury lawyer from Parker Law Firm. Back injuries range in severity from work-related injuries that could take several months to resolve, to broken bones in the spinal column which may require surgery and a long period of recuperation or physical therapy. Sometimes the injuries are permanent like paraplegia or quadriplegia. Each type of injury will require various forms of treatment and therapy or could mean a lifetime of challenges to overcome. The founder of our firm has exceptional qualifications and ratings. Mr. Parker has a 10.0 Superb rating from Avvo, is listed as a Texas Super Lawyers® by Thomson Reuters as published in Texas Monthly Magazine (2003, 2006 - Present), and is AV Preeminent® rated by Martindale-Hubbell®. You can trust the firm to move forward with your case diligently and to pursue the level of compensation you deserve. Mr. Parker is Board Certified by the Texas Board of Legal Specialization in Personal Injury Trial Law and is a highly accomplished trial lawyer with many positive verdicts achieved in civil court. If you have any doubts or concerns about enlisting Parker Law Firm to handle your case, read some of our testimonials so that you have full confidence that we are the right firm for you. Our firm operates differently than many others. We serve you personally, and we genuinely care about each person we represent. We craft a legal strategy to pursue a resolution that has a better chance of a favorable outcome. We are very skilled in gathering proof of negligence, and in crafting an indisputable case, making it more possible to get your claim settled at the right level, and in less time. In the cases in which the liable party engages in various tactics to try to avoid taking responsibility, we are more than qualified to take the case to a civil trial and let the jury decide. We are Bedford, Texas trial lawyers and litigators, and we prepare each case with the focus and determination that gets positive results. If you are suffering from a serious back injury, contact our firm online or call 817-503-9200 for the professional counsel you deserve.